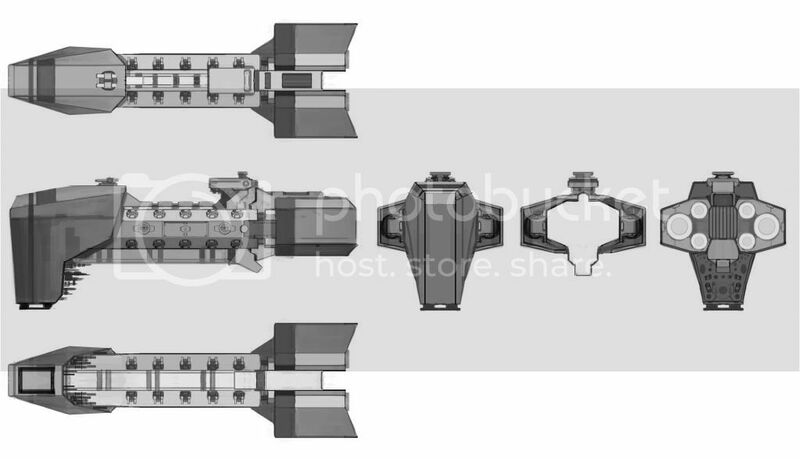 I'm looking to get this image printable looking for a 3d modeller, if your interested shoot me a pm so we can discuss costs. What format do you need the 3d model in? Also, what are the proportions? I believe shapeways uses .stl files to print stuff. And 30mm long everything proportioned against that. Malika wrote: What format do you need the 3d model in? Also, what are the proportions? You interested in making this thing for me? I might be, it's just that time isn't really my friend at the moment. I could give it a shot though! Sweet i look forward to seeing it. If you wanted to take a stab at it I bet it would come out pretty decent, after seeing your arches and what not those are coming across pretty good. Where you waiting to hear back from the guy at ninjamagic? That's also the thing, I can give you a sketchup file. But then you'd need to convert it to a printable file. I haven't got that much experience with that, but I think it should be possible to convert a Sketchup file to something that be printed. I think Blender could do that? I'm not sure, is there a way to save in sketchup as a .stl file? I know i've printed from that file type before. If you've printed through ninja magic, it's because he'll print from just about anything. Islacrusez wrote: If you've printed through ninja magic, it's because he'll print from just about anything. True. The reason why i asked if you where waiting to hear back from him though is because he moved to texas like two weeks ago and hasn't unpacked his printing gear. And yes, I've heard from him that he's moved, and thus is unable to take a look for the next two weeks or so. Lol yeah, ive been known to do tge same thing. Have you looked at his space ship game hes working on? It looks interesting. I've looked at the ships and bits he's selling, and his description of travel in his universe. Interesting stuff. Unfortunately, until he gets back, I won't know if I'm "doing it right" when modelling. I can always give it a go, though as ever I have plenty to do.